In popular legend, Lucrezia Borgia, Duchess of Ferrara (1480- 1519), stands falsely accused of poisoning her second husband. Victor Hugo portrayed her in thinly veiled fiction as a tragic femme fatale. Buffalo Bill named his gun after her. But new research by USC historian Diane Yvonne Ghirardo reveals that the only sister of Machiavelli's prince was less interested in political intrigue than in running a business, undertaking massive land development projects that, according to Ghirardo, "stand alone in the panorama of early sixteenth-century projects, not only those initiated by women." Forced by an economic downturn to cut expenses and become an entrepreneur, the illegitimate daughter of Pope Alexander VI would control between 30,000 and 50,000 acres in northern Italy within six years. "This is a classic case of seeing only what you're looking for and not getting the whole picture," Ghirardo says of the centuries-old mystery surrounding how Lucrezia accumulated her vast personal wealth. Ghirardo notes that historians have long dismissed Lucrezia as stupida because no record exists of her collecting art or antiquities. "The information was there in the archives, but because she was a woman, scholars only looked at transactions for clothes, for jewelry, or for works of art. Nobody looked at the other entries in the account registers," says Ghirardo of the research project that took her more than seven years. In a recent issue of Renaissance Quarterly, Ghirardo explains how Lucrezia turned seemingly worthless swampland into reclaimed land. The land was used to cultivate grains, barley, beans and olive trees; to grow flax for spinning into linen; to pasture livestock for milk, meat, wool and hides; and for vineyards. "That's really a capitalist attitude: to leverage capital by getting the basic good -- in this case, land -- at the cheapest cost," Ghirardo says. 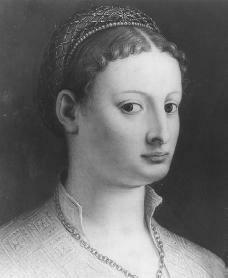 For example, Ghirardo details Lucrezia's first business venture with her husband's cousin Don Ercole d'Este. The don gave Lucrezia title to half his land in Diamantia, a large marshy district west of Ferrara. In exchange, Lucrezia agreed to fund improvements to the land, including drainage, building embankments and digging canals. As Ghirardo explains, "Lucrezia grasped the untapped potential of thousands of acres of marginal, waterlogged land, but she was too shrewd to employ her own resources to purchase it unless absolutely necessary." Surviving documents also indicate Lucrezia's knowledge of contract terms, border disputes and even the skill of various hydraulic engineers, according to Ghirardo. Other records show her pawning an extremely valuable ruby-and-pearl piece of jewelry in order to buy more water buffalo (especially to produce mozzarella). "It's not just what Lucrezia did and how she did it, but the immensity of her enterprises, that stands out," Ghirardo says. "Nobody else was doing this on such a large scale, not even men. Nobody was prepared to put in that kind of money." Notably, Lucrezia held titles to the land she acquired in her own name, not in her husband's. Profits from Lucrezia's entrepreneurial activities were also for her use alone, according to Ghirardo. "She could have purchased property that was already arable, but instead she got land that wasn't useful and transformed it," Ghirardo says. "I really believe that she thought of this as her Christian duty, to transform the land and make it better, and then to use money to help fund her spiritual and religious interests." In account registers that the Duke of Ferrara would not have seen, Ghirardo found indication of significant cash gifts to Lucrezia's confessors, preachers and other religious figures, as well as unexplained cash dispersals, possibly for a love child. "It's a little like trying to reconstruct a life from a credit card statement. There's a lot you can tell, but a lot that remains obscure," Ghirardo says. Lucrezia Borgia -- widely described by her contemporaries as beautiful and blond, with a sunny disposition -- died at 39, following complications from the birth of her eighth child. Three decades would pass before another comparable land reclamation project emerged in northern Italy. As Ghirardo says, "Lucrezia defied the conventions of her class and her gender." Diane Yvonne Ghirardo's article, "Lucrezia Borgia as Entrepreneur" can be found in Renaissance Quarterly Vol.61:1 (2008). Scholars from around the world will explore the many uses of color in Islamic art and culture during the Third Biennial Hamad bin Khalifa Symposium on Islamic Art on Nov. 2-4 in Cordoba, Spain, a UNESCO World Heritage Site and an important center of Islamic art and architecture. “And Diverse Are Their Hues: Color in Islamic Art and Culture” will feature 13 speakers from the Middle East, Europe, Australia and the United States. Topics will span the medieval to the modern and cover a range of disciplines, featuring experts in art, architecture, literature and philosophy. Fifteen fellows, ranging from graduate students to octogenarians, will receive full funding to attend the symposium. The symposium is co-sponsored by the Virginia Commonwealth University School of the Arts, the VCU School of the Arts in Qatar and the Qatar Foundation. Sheila Blair and Jonathan Bloom, shared holders of the Hamad bin Khalifa Endowed Chair of Islamic Art at VCU, are the organizers and keynote speakers. “And Diverse Are Their Hues” focuses on the topic of color. Speakers will address the role of color in manuscripts, carpets, ceramics, buildings, medieval optics, mysticism and gardens. “We chose color as the focus of this year’s symposium because it is one of the most salient features of Islamic art, although it is rarely discussed,” Bloom said. Cordoba, a city of approximately 350,000 in Andalusia in southern Spain, served as the capital of Muslim Spain in the Middle Ages and contains many significant monuments of Islamic art and architecture, such as the Great Mosque of Cordoba and the ruins of Medina Azahara, a 10th-century palace just outside of the city. The city’s Archaeological Museum also houses an exemplary collection of local antiquities. Dr Catherine Clarke, a specialist in medieval culture at Swansea University's department of English has been given a grant to explore representations of masculinity in modern re-workings of the Beowulf story. In particular she has been looking at the 2007 film Beowulf starring Ray Winstone, Angelina Jolie and Port Talbot-born Sir Anthony Hopkins. And she has also travelled to Indiana University's Library in the United States to study the 1970s DC Comics series Beowulf the Dragon Slayer. The Old English epic poem Beowulf - the oldest surviving epic in British literature - is widely held as one of the most important works of Anglo-Saxon literature. Although the epic was written and recited in Britain, Beowulf is about characters in Scandinavia - Danish and Swedish warriors who battle fabulous monsters as well as each other. It was because the early Anglo-Saxons who settled in modern-day England were the descendants of Germanic and Scandinavian tribes that invaded Britain beginning in the 5th century. Dr Clarke said: "Central to the poem is the heroic ideal of masculinity immortalised through the figure of Beowulf, an image perpetuated through the Beowulf DC comic book series and other re-workings of the tale." Dr Clarke teaches an undergraduate module entitled Transforming Beowulf in the 20th century as part of the English BA scheme at Swansea University. Dr Clarke said: "The DC Beowulf comics present a deeply divided and conflicted idea of masculinity. This version of the Beowulf narrative presents a hyper-masculine hero and a homosocial world of physical competition and prowess. The advertisements within the comics aimed at a younger male audience reinforce the masculine culture of the comic strips featuring body-building, karate, and air guns. "Another interesting element I've been exploring is the way these comics introduce a female character into the Beowulf narrative - Beowulf's feisty, bikini-clad side-kick Nan-Zee! This, together with discussion and acknowledgement in the back-matter of the comics is an intriguing response to contemporary feminist politics in the 1970s US. "I also aim to reflect on my reading of the DC Beowulf comics to ask what these comics might add to our understanding of the 'original' Old English poem. The comics call attention to issues of masculinity and maturity which bear relevance to the Old English text (for example, Beowulf's apparent failure to move from the role of youthful, ambitious hero to that of older ruler and patriarch), and raise interesting questions about the appropriation of the Beowulf narrative by different groups of readers." Dr. Clarke is a specialist in earlier medieval literature and culture, with a particular interest in the period 900-1200. She has published widely on Old English, Middle English and Anglo-Latin. She is also currently working on a major new monograph project provisionally entitled Patronage and Power in Anglo-Saxon England, which aims to recover Anglo-Saxon ideas about the role of the patron in literary and artistic production and the ways in which patronage and formal friendship relationships were imagined. Beowulf, written in Old English sometime before the 10th century AD, describes the adventures of a great Scandinavian warrior of the sixth century. Beowulf attended the court of King Hrothgar to slay Grendel, a cannibal with super powers who was devouring warriors in Hrothgar's great mead hall of Heorot. Beowulf killed Grendel by wrenching off his arm and later killed his equally ferocious, magically enhanced mother in her underwater lair then later killed a dragon but died of his wounds. Beowulf exists in only one manuscript. The precious copy survived both the wholesale destruction of religious artifacts during the dissolution of the monasteries by Henry VIII and a disastrous fire which destroyed the library of Sir Robert Bruce Cotton. Still bearing the scars of the fire, the Beowulf manuscript is now housed in the British Library in London. One of the most important battles in British history is marked in the wrong place, according to new research. Bosworth, fought in 1485 and ending in the death of Richard III, was believed to have taken place on Ambion Hill, near Sutton Cheney in Leicestershire. But following a three-year project, the Battlefields Trust said the discovery of ammunition two miles to the south west proved the location was wrong. The battle ended decades of civil war which is now known as the Wars of The Roses. The death of Richard ended the Plantagenent dynasty and ushered in the Tudors. The traditional site has a flag at the crest of the hill, a stone to mark the spot where Richard fell and a recently renovated visitors' centre. But debate over the actual site of the battle had been going on for more than 25 years before a project, with £154,000 funding from the Heritage Lottery Fund, was set up to settle the matter. Dr Glenn Foard, from the Battlefields Trust, said: "The battle was not fought on Ambion Hill at all, we have found the battlefield two miles away, down in the valley. That is where the Wars of the Roses were decided." He said studying medieval documents, matching their descriptions to the surrounding area and archaeological excavations had all pointed to the same place. Foard added, "it was systematic archaeological survey with metal detectors that was the method by which we finally located the battlefield. In all 7 square kilometres have been surveyed. More than 5000 finds have been recorded, though only a tiny proportion of these relate to the battle." The combined evidence proves that the battle was fought in the area between the villages of Dadlington, Shenton, Upton and Stoke Golding – in a location not previously suggested. But the exact whereabouts of the battlefield have not been released, as the researchers want to prevent the site from being looted by treasure hunters. The newly discovered location will be announced sometime next year – and negotiations with land owners may allow some public access through existing rights of way. The investigation also turned up much evidence related to use of gunpowder during the battle. Foard noted that, "The archaeological survey of Bosworth battlefield has so far produced 22 lead roundshot fired from artillery and bullets fired from early hand guns – more than all the lead roundshot from all the other battlefields of the 15th and 16th century in Europe put together. They range in size up to 93mm – so the train of artillery at Bosworth already contained some guns as large as saker, the largest mobile field pieces normally deployed on battlefields in succeeding centuries. "The scatter of roundshot from artillery and of bullets from hand guns extends over a distance of more than a kilometre. Because no comparable evidence has been seen before from a medieval battlefield, the interpretation of the pattern we have recovered demands various new research. This will involve the application of modern ballistics and other methods of scientific analysis." Reports indicate that a mysterious carved stone has been uncovered alongside a 12th-century church associated with the Knights Templar in Scotland. According to a report in the Scotsman, what appears to be the carved top of a sarcophagus, was unearthed when builders were excavating and reinforcing a wall alongside the old ruined church in Temple, Midlothian. “I was on a mission to repair the wall – which was falling into the graveyard. We got near the bottom of the foundations and found something buried there,” said Crispin Phillips, who is renovating a house alongside The Old Parish Church. “We found one stone carved with a cross and then another with these carvings on it,” he said. “We spent about half an hour in philosophical discussions about what we should do about it. I felt we should do something, rather than just bury it again,” he added. The inscriptions, which include symbols similar to those found in Viking monuments, in medieval graves and in West Highland Celtic carvings, have baffled archaeologists. Phillips contacted Historic Scotland and East Lothian Council, whose archaeologists cover Midlothian. He said that the stone had been photographed and recorded, but he was still unclear whether further investigations would be carried out. “One of the archaeologists who came out told us it was probably from the early 12th century. But really, I’m still in limbo about what to do about it,” said Phillips. Historian and author John Ritchie said the stone raised many questions. “It is a crude carving, quite primitive, but I have never seen anything like it in my life. It has a whole series of symbols on it and the symbols are very interesting,” he said. “The symbols at the bottom look like Viking sun compasses, while the dials at the top look a little bit like a Celtic cross but with notches carved on them,” he added. According to David Connolly of Connolly Heritage Consultancy, the stone was from the 13th or 14th century. “It is a significant site because it was the Templar Preceptory for Scotland. I think from the condition, it may once have been set inside the church – which was once much bigger,” he said. Phillips said that he planned to complete the rebuilding of the 17th-century graveyard wall and would build an arch into it so interested scholars could still see the half-buried carvings. The village of Temple in Midlothian takes its name from the Knights Templar, who once had their Scottish Preceptory – their headquarters – there. The ruined chapel, which nestles in the valley at the foot of the village, is all that remains of what was once an abbey founded by the Templars on lands gifted by David I of Scotland in 1127. The University of Glasgow will be publishing a new open-access journal on art history. The Journal of Art Historiography will have its inaugural issue made available on December 31st. The journal is being headed by Professor Richard Woodfield, and will be published twice a year. It will include articles examines art historiography in the Middle Ages and Renaissance periods. The university is also going to be publishing a book series entitled Glasgow monographs in art historiography. In an interview with Medievalists.net, Professor Woodfield explains how he got the idea to start this journal: "My interest in art historiography started when I read [Ernst Hans Josef] Gombrich. He asked some fundamental questions about the disciplinary practice of art history. I got to know him and collaborated with him to produce two books, his 'Reflections on the History of Art' and our 'The Essential Gombrich'. Quite early on I became interested in the Vienna School of Art History and Gombrich's own mentors. That resulted in my collaborative books on Riegl, Warburg and 'Gombrich on Art and Psychology'. I have always been interested in working with other scholars but felt that the study of art historiography, which is the study of the nature of art historical writing, was rather marginal to publishers' interests. "When I retired I became involved with a project on Viennese Art historiography, which failed to get research funding but did result in my being made an Honorary Senior Research Fellow in the Department of Art History in the University of Glasgow. With the original project failed it occurred to me to set up in publishing myself: if no-one else would promote art historiography then I would. The university's Library, IT and Corporate Communications staff helped me to set up an Open Access (free) ejournal. The Head of the Institute of Art History, Professor Nicholas Pearce, gave me his support to set up a book series, which will be called the 'Glasgow Monographs in Art History'. I was able to persuade a number of distinguished scholars to join my Editorial Advisory Board and their role, in addition to giving me advice, is to look out for promising contributors. "The scope of the ejournal and book series is very broad but its concept is based on the work of the Viennese art historians, whose activities were rooted in the Imperial Museums and whose subjects included a broad spectrum of objects, well beyond just paintings. They also made very imaginative use of the intellectual materials at their disposal and weren't afraid to dip into psychology, ethnography, linguistics, sociology or whatever. Pretty much like Gombrich himself. Indeed he owed that debt to them." Professor Woodfield has also made a call for contributors interested in writing articles for the journal. For more information, please see the Journal of Art Historiography website. The recent announcement that the explorer Christopher Columbus was not an Italian, but rather came from the Kingdom of Aragon, has come under scrutiny, with one scholar poking large holes into the thesis. Last week, we reported that a new book by Estelle Irizarry, a linguistics professor at Georgetown University, claims that evidence from Columbus' own writings shows that he was likely a Catalan and may even have been Jewish. One of the key pieces of evidence was the explorer's used of a slash symbol - similar to the ones used in Internet addresses - that Columbus employed to indicate pauses in sentences. That symbol, also known as a virgule, did not appear in texts of that era written in Castilian nor in writings from any other country, but only in records and letters from the Catalan-speaking areas of the Iberian peninsula, namely present-day Catalonia and the Balearic Islands. Irizarry explains, "The virgules are sort of like Columbus' DNA. They were a habit of his. Columbus was a punctuator and was one of the few of that era." Now, in an interview with Medievalists.net, Dr. Diana Gilliland Wright confirms that the slash symbol was used in other places outside of western Spain. Wright, who is an expert in Italian history in the late Middle Ages, says, "the virgule is a very common marker for pauses in sentences" among Venetian documents from the later half of the fifteenth century. Dr. Wright also casts doubt on Irizarry's belief that Columbus' spelling inconsistencies can also be a clue to his origins. "Spelling in the 15th century was extremely fluid," she says, "and it is normal to find in official Venetian documents and records three different spellings of the same name, even when it was the name of a person known to the writer of the document. I cannot see that variation in spelling can be used to demonstrate anything but that the writers didn't have my spelling teacher." A four day conference on the outlaw hero of Sherwood Forest finished up yesterday. The International Association for Robin Hood Studies Seventh Biennial Conference was held at the University of Rochester and drew an audience of 100 people. "Every generation gets the Robin Hood they want and the Robin Hood they deserve," says Thomas Hahn, professor of English at the University of Rochester and the organizer of this year's theeme: "Robin Hood: Media Creature." Various scholars examined the ways in which the outlaw hero has been reshaped over the past 700 years, and look at the evolution of Robin Hood through stage, song, literature, memorabilia, and more. Even Hollywood can't leave the legend alone as it prepares for the 2010 release of Robin Hood, directed by Ridley Scott and starring Russell Crowe, not to mention the start of the third season of Robin Hood, a the hit show on BBC America. So how is it that an obscure mythological character, who may not have existed, remains an iconic figure all over the world and throughout history? According to Hahn, "The tale provides an escapist fantasy that is timeless and compelling to people at any age." It includes themes of rebellion, justice, brotherhood, and even a love interest- all subjects that Hahn says not only make a great story, but that are easy to connect with people's emotions. "Robin Hood: Media Creature" included the 21st century World Premier of Douglas Fairbanks in Robin Hood, a newly restored print of the 1922 film. Throughout the event, researchers from around the world will present findings on well-established and even controversial aspects of the tale of Robin Hood, using stories, images, music, television, and film to explain complex issues and cultures from the Middle Ages to the 21st century. According to Hahn, while the tale lacks the prestige of, say, the works of William Shakespeare, the world's familiarity with the story has made it compatible with many different fields of academic study, including English language and literature, history, musicology and music performance, media studies, and visual studies. Instrumental in the planning of the first international conference of Robin Hood studies in 1997, Hahn says he is thrilled to have the event return to Rochester for the first time in more than 10 years and even encourages people to dress up for the occasion. However, his enthusiasm only goes so far. "While I will have hundreds of items from my personal collection on display, you won't see me walking around with a feather in my cap!" See our earlier article on the discover of a passage from a 15th century manuscript that reveals new information about the legendary figure Robin Hood. Professor Nicholas Orme, one of the most distinguished scholars in the United Kingdom, has released his latest book - Exeter Cathedral: The First Thousand Years, 400-1550 . It details the history of the one of England's most historic church buildings, which is famous for its vaulted ceiling and its fifty misericords, which date from the 13th century. Orme, who is Emeritus Professor of History at the University of Exeter, has written dozens of books and articles on medieval children, schools and ecclesiastical history, focusing on the British Isles. This particular work is a more personal endeavor, as ge and his wife, Rona, were married in Exeter Cathedral 28 years ago. In an interview with the Express and Echo, Professor Orme said, "It all started when I was at the University of Exeter and working on a history of medieval schools. I came to the cathedral to look at their archives, which it turned out are among the best anywhere, even compared to Wells, Salisbury and even St Paul's. "I would spend afternoons down here and, as with any work, there has to be an element of altruism, of trying not to bore but to communicate. I thought it would be a useful job to bring this information to the general reader and if I didn't, who would? "Anyone can read the archives. But they are written in Latin, in medieval handwriting on parchment that is thin and perhaps in bad repair. And more importantly, they do not mean anything unless you know what they are related to, and their context. There is a terrific amount of knowledge in the archives above the refectory. "Most cathedral histories are on an architectural theme but this book is not all about what, but why? Why is it like this and why is it here? "Why not Crediton or Morchard Bishop, perhaps the geographic centre of Devon, or Plymouth? And the answer is of course down to non-Christians — the Romans. They chose Exeter to be the principal place in Devon. Exeter mattered and in ecclesiastical terms Crediton didn't. It was the ecclesiastical equivalent of Marsh Barton — although I may get in trouble with the people of Crediton for saying that. "When King Athelstan arrived in November 932 as King of the English he brought with him all three Welsh princes, every English bishop and the 30 leading nobles. It stamped on the city the royal mark, royal authority and royal power. Exeter was a Royal Cathedral and it was until Edward the Confessor made the sacrifice and gave it to the church." Professor Orme, in speaking about the tough economic conditions that many churches in Europe face, adds, "we are fortunate in Exeter that the cathedral is in excellent condition. There has been a great surveyor operating here for the last 20 to 25 years. Everything is monitored. There is an on-going programme of work. It is run just about as well as it can be run. But that will always be expensive to do." The book was published by Impress, with the support of the Friends of Exeter Cathedral, Devon County Council and Exeter City Council. Orme, who retired in 2007, says, "this is probably my last shot and the culmination of years of work. I might have another more academic work to come, but this is it for now." An article published in today's New York Times takes a look at the changing academic views on the Battle of Agincourt, which was fought between England and France in 1415. The article, written by James Glanz, notes that Agincourt's "status as perhaps the greatest victory against overwhelming odds in military history — and a keystone of the English self-image — has been called into doubt by a group of historians in Britain and France who have painstakingly combed an array of military and tax records from that time and now take a skeptical view of the figures handed down by medieval chroniclers. "The historians have concluded that the English could not have been outnumbered by more than about two to one. And depending on how the math is carried out, Henry may well have faced something closer to an even fight, said Anne Curry, a professor at the University of Southampton who is leading the study." The study they are referring to is the Medieval Soldier database, which is headed by Curry and Adrian Bell of the University of Reading. Here is our report on the database, from July of this year. The Times article also presents the more traditional views of some scholars, such as Clifford J. Rogers, a professor of history at the United States Military Academy at West Point, who "argues that Henry was in fact vastly outnumbered. For the English, there were about 1,000 so-called men-at-arms in heavy steel armor from head to toe and 5,000 lightly armored men with longbows. The French assembled roughly 10,000 men-at-arms, each with an attendant called a gros valet who could also fight, and around 4,000 men with crossbows and other fighters. "Although Mr. Rogers writes in a recent paper that the French crossbowmen were “completely outclassed” by the English archers, who could send deadly volleys farther and more frequently, the grand totals would result in a ratio of four to one, close to the traditional figures. Mr. Rogers said in an interview that he regarded the archival records as too incomplete to substantially change those estimates." Click here to read the New York Times article. The Battle of Agincourt made news in 2008 when French historians accused Henry and the English forces of being "war criminals" for having executed thousands of French prisoners during a pivotal moment in the battle. Click here to read that earlier article. An interesting and innovative project is underway that brings together microblogging and the history of the Byzantine empire. Cry for Byzantium is an attempt to write over a thousand years of history through the popular social network website Twitter. Cry for Byzantium was started in July 2009 by Sean Munger of Portland, Oregon. The idea is to post, in chronological order, a little piece of the history of the Byzanntime Empire. The project started with the accession of Constantine I (Constantine the Great) in 306, and plans to continue until the fall of Constantinople in 1453. In an interview with Medievalists.net, Munger explains that this "project is mainly just an experiment to see if social networking tools like Twitter can be used to interest people in history." The Tweets, which can only be 140 characters long, are posted about four times each day. At this point, Munger has made nearly 450 posts, which has carried the history of Byzantium up to the year 479. An example of one Twitter post is "Fall 394. I’ve sent for Honorius to join me here from Constantinople. He is going to take over the Western Empire." The posts are written as if they are coming from the Emperor himself (or herself), and Munger notes it comes "complete with their own biases and viewpoints--certainly emperors differed in their own approach to religion, and naturally their views showed through in their actions and words." Munger often adds a little humor to the posts, such as this one: " 28 August 388. Maximus has been executed. Shame, I was about to pardon him. Oh well. No use crying over spilt blood!" At this point, Cry for Byzantium has over a hundred followers, and Munger says that reception he has received so far has been, "Extremely positive on the whole. People don't comment or @ reply as much as they do to 'normal' Twitter users, but judging from the feedback I've had people enjoy the story as it goes along and occasionally learn something surprising. What has surprised me (pleasantly) is how many followers come from Greece and Turkey, and also how many are from religious communities both Catholic and Orthodox." He adds, "People have sent me links to articles, scholarly papers and other items of interest. For instance one person sent me a link to a paper on Constantine's "vision" before the Battle of Milvian Bridge which was fascinating." Munger, who works as a lawyer, plans to continue his interest in history by enrolling in graduate school with hopes of becoming a teacher at a community college or university. He is also a novelist, whose books include All Giamotti's Children and Romantic, Memoirs of a Great Liner . This fall he will release Beowulf is Boring, which he describes as "a spoof/comedy [which] doesn't purport to be historically accurate, although I do mention a great deal of medieval history and mythology, everything from Beowulf and the Arthur legend to the Norman Conquest of 1066, Eleanor of Aquitaine and the Crusades, etc. And I couldn't resist putting one Byzantine character in it!" You can follow Cry for Byzantium by clicking here. 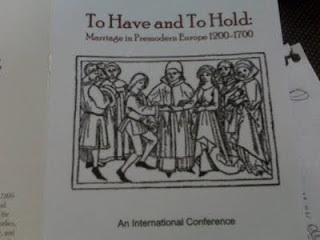 Medievalists.net has posted two interviews from the conference To Have and To Hold: Marriage in Premodern Europe, which was held at the University of Toronto earlier this month (Click here for our news report on the conference). Our first video is an interview with Dr. Michelle Armstrong Partida, a post-doctoral fellow at UCLA. She gave a paper entitled "Married Priests? The Practice of Clerical Unions in Fourteenth-Century Catalunya"
We will be releasing more interviews in the next few days. On October 19 2009 the movie "Pope Joan" (in German: "Die Päpstin") was had its world premiere in Berlin. Many famous actors were on the red carpet, including David Wenham, John Goodman, Johanna Wokalek and the film's director Sönke Wortmann. The German-made film, based on Donna Woolfolk Cross' book, Pope Joan: A Novel , tells the story of a woman born in 814 A.D. in the German city of Ingelheim who disguises herself as a man and rises through the Vatican ranks to become the only female pontiff in history. Goodman, who stars opposite German actress Johanna Wokalek in the title role, told reporters this week that the role required surprisingly little preparation, despite the departure from the many comedies for which he is best known. "When I put on my dress," said Goodman, referring to the luxurious papal robes he donned for the part of Pope Sergius, "everything fell into place, the actors -- everything -- was wonderful. They did my job for me." Wokalek, who is relatively unknown outside of Germany but received considerable acclaim for her role in the 2008 drama "The Baader Meinhof Complex," said she saw the film as a celebration of a strong woman "who sought to overcome all obstacles and find the strength repeatedly to do so, regardless of what hardships she met with along the way." For Goodman, best known for playing Dan Conner on the hit sitcom "Roseanne" in the 1980s and '90s, playing a commanding pope in a historical drama required above all a change of wardrobe. "They would not let me wear sunglasses," joked Goodman, referencing arguably his most famous role as the shades-wearing Walter Sobchak in the cult classic "The Big Lebowski." Cross told reporters her 400-page novel was based on the historical information recorded about Pope Joan who, disguised as "Brother John," became Pope Sergius' personal physician and confidant, before allegedly becoming pope herself. Many scholars assert that Pope Joan was a Medieval legend. "What I wanted was to take that fascinating skeleton of a story and put flesh on it: give it laughter, smiles, tears -- the things that make a story human," she said. "But in the arch of her story -- in when she lived and who surrounded her and how she died and all of those points -- we have followed history completely." The film, produced by Constantin Film and directed by Soenke Wortmann, was filmed in English, largely on location in Germany. It will be distributed by Summit Entertainment in the U.S. No release date has yet been set. The debate over the nationality of Christopher Columbus has kept investigators occupied ever since the man credited with the discovery of the New World died in 1506. Thought by many to be the son of a Genovese artisan, a new study by Estelle Irizarry, based on the official documents and letters of the explorer, suggests that Columbus' native tongue was Catalan and that he came from the Kingdom of Aragon. Furthermore, Irizarrt belives that Christopher Columbus' origins are not obscure by chance, but rather the result of the famed explorer's having purposely hid the fact he was a Jew or "converso" (convert to Christianity). Estelle Irizarry, a linguistics professor at Georgetown University, reached that conclusion after examining Columbus' writings in detail and discovering a simple but important clue that had escaped other researchers: a slash symbol - similar to the ones used in Internet addresses - that Columbus employed to indicate pauses in sentences. Irizarry uses that metaphor as the title of her latest book, Christopher Columbus: The DNA of his Writings, in which she pored over the language and syntax the navigator used in more than 100 letters, diaries and documents. She also found in her research of documents from that era written on the Balearic island of Ibiza that 75 percent contained virgules similar to Columbus'. At the end of the 15th century and the beginning of the 16th, authors normally left punctuation for publishers and even Cervantes' "Don Quixote" was only filled in once and for all with periods and commas in the 19th century, making Columbus' virgules all the more noteworthy, Irizarry said. Her book confirms some of the conclusions drawn by scholar Nito Verdera, who identified many words of Catalan origin in the writing. Irizarry thinks the future explorer grew up in a Catalan-speaking region and that explains why he did not express himself correctly in Spanish, which would have been his second language. Proof of that is the inconsistency of his spelling, she said, noting for example that he would write "trujeron" and "trajeron" - incorrect and correct spellings, respectively, of the Spanish word for "brought" - sometimes in the same sentence. In addition, these peculiarities of his writing and other linguistic aspects associated with Ladino, a Jewish ethnolect in late medieval Spain, suggest that Columbus was Jewish, Irizarry said. "Columbus even punctuated marginal notes and he included copious notes around his pages. In that sense, he followed the punctuation style of the Ladino-speaking scribes," the professor said. Irizarry says her research clears up the big mystery surrounding Columbus' place of birth, which he never revealed but which different historians have claimed was Genoa, Italy; the French Mediterranean island of Corsica; Portugal; and Greece, as well as Spain. "The people who hid (their origins) more and had reason to do so were the Jews," Irizarry said, referring to the forced conversions and mass expulsions of Jews in late medieval Spain. A scientific project launched three years ago to discover his true origins using DNA comparisons between his family and possible descendants has so far failed to provide conclusive results. A team of scientists took samples from the tomb of Columbus in Seville and from bones belonging to his brother and son and compared them to the genetic make-up of hundreds of people living across Europe with surnames believed to be modern day variants of Columbus. Swabs were taken from the cheeks of Colom's in Catalonia, Colombo's in Italy and even members of the deposed Portuguese royal family, who argue that Columbus was the product of an extramarital affair involving a Portuguese prince. Scientists had hoped to establish a common ancestor using standard Y-chromosome tests but they have yet to find a link. They study may be in vain, however, as there is evidence to suggest that Columbus, who first crossed the Atlantic in 1492, may have adopted his surname later in life to disguise his true origins. Another theory claims that he once worked for a pirate called Vincenzo Columbus, and adopted that name in order not to embarrass his relations with his new profession. Columbus himself, when asked about his origins, used to shrug off the questions. "Vine de nada" – "I came from nothing", he said. The Church of St.Mary's, Swaythling, in Southampton, England, is looking to raise £200,000 in order to start repairs to the medieval landmark. The 900 year old church, the second oldest in Southampton and even mentioned in the Domesday Book, has water seeping through its walls which may cause its tower to collapse. Other needed repairs also are to be made for the roof and the Norman doors. An initiative to help fund the urgent work on the Grade I building has just been launched. The vicar is urging everyone with any connection to the church to join a group so they can keep up-to-date with news and unite together to protect its future. Friends of St Mary’s group will mean members pay an annual subscription fee, which will include invitations to special events and the delivery of newsletters. To join the Friends call 023 8046 3848 and to donate, send a cheque made payable to the Parish of Swaythling at St Mary’s Project, The Vicarage, 357 Burgess Road, Southampton, SO18 3BD. Dr Emma Hornby of the University of Bristol has been awarded a Religion and Society Small Research Grant worth £95,000 by the Arts and Humanities Research Council (AHRC) for a one-year project on ‘Compositional planning, musical grammar and theology in Old Hispanic chant’. The grant will enable Dr Hornby and Professor Rebecca Maloy from the University of Colorado at Boulder to produce a collaborative monograph. It will also fund a series of lecture-recitals with the Bristol Music Department Schola Cantorum in 2010. The Schola Cantorum is an auditioned women’s choir, open to single and joint honours music students at the University of Bristol, that specialises in medieval music. The performances will include the few transcribable Old Hispanic chants, cognates in other European traditions, and tentative and purely illustrative realisations of some sample chants from the project. These events will bring this medieval sound world and its historical and theological context alive to audiences of early music enthusiasts, school and college pupils, the academic community, and the general public in Bristol and beyond. The University of Toronto held a two-day history conference, which ended yesterday, entitled "To Have and to Hold: Marriage in Premodern Europe (1200-1700)". Over 100 people attended the conference, hearing papers on a wide range of topics related to marriage in the Middle Ages, Renaissance and Early Modern periods. Some of the papers dealt with the marriages of clerics during the Middle Ages, marriage practices in minority communities throughout medieval Europe, and reports on interesting marriage cases. Medievalists.net was on hand and interviewed several speakers. The interviews will be posted to our website over the next couple of weeks. Our first video is an interview with Professor Konrad Eisenbichler, who was one of the organizers of the conference. We asked him about why they wanted to do a conference on pre-modern marriage and about what was learned here. A detailed report of some of the papers given will be added to the website later today. X-rays are being used on parts of York Minster in an effort to protect the historic building from further erosion. Researchers are using the equipment to find out how badly the Minster's limestone structure has decayed. The results will be used to help advise conservation experts how further decay can be avoided. "This project is about a problem with York Minster," explains Dr. Kate Giles of York University. "The building is hundreds of years old and it has been eroding over centuries, and over those centuries lots of people have repaired it and we are just the latest phase of repair and restoration. "Science is helping us on the east front of York Minster because we’ve been able to observe over the past few decades and even centuries, the that magnesium limestone, the stone from which York Minster is made, but we’ve never been able to look at that in microscopic detail." Researchers are using an X-ray photoelectron spectrometer to explore the limestone in microscopic detail to study the salt deposits and other compounds contained within it that can cause the stone to erode. The work is helping to advise conservation experts how best to treat the stone to prevent further decay and what materials to use in the current restoration of the Minster’s East Front. 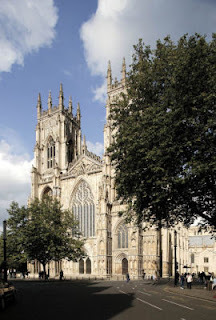 The first Minster was built for the baptism of the Anglo Saxon King, Edwin of Northumbria in 627 and has been rebuilt and enlarged over the centuries. This Minster was completed in 1472 and restoration work has been ongoing ever since as stonemasons work their way around the structure to restore decayed and weathered limestone. Archaeologists have discovered two Crusader-era murals depicting heaven and hell in a medieval church near Syria's coast — a rare find that could reveal new information about the Christian knights who battled Muslims for control of the Holy Land hundreds of years ago. Experts are now renovating the 12th century paintings, which were discovered last year by a joint Syrian-Hungarian team excavating an old Crusader fortress on a hilltop near the Mediterranean Sea in the western province of Tartous. The discovery was announced Saturday by Bassem Jamous, Syria's director general of antiquities and museums, who told the state-run Al-Thawra newspaper that the paintings could provide information about the traditions and beliefs of the Crusaders. The murals, which measure about 8 feet (2.5 meters) high and 11.5 feet (3.5 meters) wide, were hanging on either side of the altar of a 12th century chapel inside the al-Marqab Citadel and had accumulated thick layers of dust and dirt, archaeologists said. The panel depicting hell shows people being tortured inside a wheel covered with knives and others being hanged and burned, said Marwan Hassan, head of the Department of Antiquities in Tartous. The one portraying heaven includes saints surrounded by light colors. Hassan said the Crusader murals are important because they are the first ones found in the Middle East depicting heaven and hell. "Crusaders did not stay in one place for a long time, and so it is very rare to find such paintings left behind by them," Michel Makdisi, head of excavations at Syria's Directorate General of Antiquities, told The Associated Press. al-Marqab Citadel located only six kilometres from Banias, this magnificent castle sits on the side of an extinct volcano, over watching the sea. Called Qalaat Al Marqab in Arabic it means Castle of the watchtower. This is where Richard the Lionheart landed at the beginning of the third crusade. Founded in 1062 by the Muslim Arabs it was then taken over by the Byzantines then somehow passed into the hands of the principality of Antioch at an unknown date. It was then sold to the Hospitallers in 1186 and was rebuilt to the latest Frankish military standards of architecture and used by the crusaders until it fell into the hands of Sultan Qalaun in 1285, after only 5 weeks of battle. The most important aspects and features of this fortress, are the keep and the chapel. The round keep is a massive tower of strength, and at a diameter of nearly 29 meters and walls of 5 meters thick it is quite typical of 12th century Hospitallers work. From the top magnificent views of the mountains and the coast can be seen, not to mention the beautiful view of the Mediterranean. As for the chapel, it is entered by two entrances one from the north and the other from the west (up some steps). This chapel, also built in the 12th century is a magnificent example of Gothic art, with traces of Romanesque. Although this chapel is relatively small the fact that there are no aisles makes it quite spacious, this is typical of Gothic art. There are three pointed arches, one decorated in black and white, one undecorated but supported with Corinthian capitalized columns. The rounded apse is two steps higher than the rest of the chapel, and there are two small rooms behind it. The chapel is beautiful in its simplicity. For years, what lay in a small convent in Kraków, Poland, behind the Iron Curtain remained a mystery. James Boyce, O.Carm., Ph.D., associate professor of music and scholar in medieval Carmelite manuscripts, had heard rumors of an unstudied set of choir books existing in a small convent known as Na Piasku, or “on the sands”—named for its original 1397 location outside the city walls of Kraków. To a scholar like Father Boyce, who wrote his doctoral dissertation on two sets of manuscripts, one from 14th-century Florence and the second from 15th-century Mainz, at the time the only known sets of Carmelite choir books, the notion of such undiscovered devotional objects within his own order was an exciting prospect. During the 1990s, he tracked the books’ existence through what he heard through other people’s visits and through a friend who took some pictures of the books. But the sources proved somewhat cursory and inconclusive. When traveling restrictions eased on the former Eastern Bloc nations, Father Boyce began planning his visit to the convent. It happened in 2000. 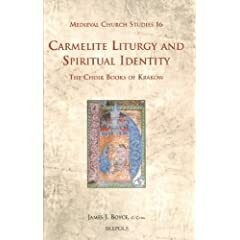 Father Boyce documented his journey and the minute details of his discovery in Carmelite Liturgy and Spiritual Identity: The Choir Books of Krakow (Brepols, 2008). The 500-page book reveals the contents of some 25 choir books spanning 600 years, and offers an intimate look into the liturgies and daily rituals of the early Carmelites. The book also places the choir books within the historical context of the Carmelite tradition, suggesting that they are “instruments of identity” for an order that was seeking to define itself, especially throughout the Middle Ages. The books would have been used several times daily to perform the Divine Office, a collection of prayers and Gregorian chants that occupied up to four hours of the friars’ daily activity. Three of the books, Father Boyce said, most likely traveled with the Carmelites from Prague, Bohemia, in 1397, when they set up just outside the city walls of Kraków in a burgeoning immigrant neighborhood. Another book, a 1644 Gradual, or book of chants for the Mass, includes some 110 “historiated” initials in brilliant hues and intricate gold leaf. The books date up until the 19th century, with the earlier medieval manuscripts being of such rarity and beauty that Boyce describes them as devotional objects. Making even one book was an intricate undertaking from start to finish. The area known as “on the sands” was teeming with recent immigrants who worked as tanners, butchers, parchment makers and other trades, so the materials were right on hand. It would take one entire sheepskin, strung up, de-wooled and planed down, to make two folios (four pages) of parchment. Next, the book had to be ruled, and both text and music inscribed in ink by the friars. The more intricate historiated initials, Father Boyce said, most likely were done by professionals. “Everything had to be done very carefully. There was no correcto-type, no do overs,” he said. The books are roughly the size of a suitcase: about 3 by 4 feet, containing 400-500 pages and weighing approximately 60 pounds. Inscribed in one book is a colophon, listing the names of all the friars who worked on its creation. “It’s very moving to read the names and realize the amount of work they put into the choir book,” Father Boyce said. He said the choir books distinguish the Carmelites among Catholic orders for their liturgical uniqueness. As one of the earliest orders of the church (whose legend says they were formed in the Holy Land), Carmelites pay homage in liturgies to Elijah the Prophet as their founder. But the Kraków books in particular also celebrate some little-known saints, such as St. Ludmila, a ninth-century martyr who struggled to convert Bohemia to Christianity. One of the original books was sold to pay for a painting project in the chapel, Father Boyce said. The other 25 books left the convent only once, in 1655. During a war with the Swedes, the friars buried the books in town before the monastery was burned. Once it was rebuilt, the manuscripts were returned. They also survived the Nazi invasion in the 1940s, when half a dozen priests were sent to concentration camps — “simply because they were clergy,” he said. The books, said Father Boyce, provide a strong sense of “who these Carmelites were” and how they operated in a new country among more established orders. A 15th century castle in southern Sweden is set to be auctioned off next month after its current owner fell into financial hardships. Dybäck Castle, situated near Skurup, is Sweden’s southernmost manor house and consists of a series of buildings dating from the 15th, 16th, and 17th centuries. The main building boasts 26 rooms, a moat, and is situated near a tree-lined park and 500 hectares of farmland. The estate belongs to Claes Ebbe Alwén, whose family has owned Dybäck since 1921, but who has been plagued by financial troubles due in part to sloppy bookkeeping related to his work as a secret agent for the Swedish military. The Swedish Enforcement Agency (Kronofogden), the body administering the auction, expects to raise at least 100 million kronor ($14.2 million) through the sale of Dybäck. Dybäck's history goes far back in time and it has been owned by several of the most powerful noble families in ancient Denmark. The first mentioning of the castle comes in 1374 when Johannes Sastersen wrote about a fortified place called 'Djubaek'. Over the next several hundred years ownership of castle changed hands several times. At the same time renovations and new buildings were added to the moated castle. At least one of the houses within the castle dates to 1490, while a chapel was built in 1555. The image above dates back from 1680. After the fall of the Soviet Union in the early 1990s the Swedish Military hired the castle's owner, Claes Ebbe Alwén, to assit them in acquiring secret military technology from Russia. Alwen bribed Russian officials and even attempted to purchase a MIG-29 fighter jet. In 2002 his company went bankrupt and in the following year he was sent to prison for fraud and tax crimes. His castle was seized to help pay off his debts. Click here to see more medieval castles for sale. A new article has revealed the great extent to which the Belgian town of Ypres created a water supply system during the Middle Ages. In his article, "The Challenge for a Medieval Center of Industrial Growth: Ypres and the Drinking-Water Problem," Paul Trio uses archival and archaeological evidence to explain how fresh water was brought to the city for its population. Because the city's booming textile industry required large amounts of water, the city's river, known as the Ieperlee, was not sufficient to meet its needs. Morover, the people of Ypres could not make use of wells because of the soil conditions in the region. Trio details how city officials bought up land around the city that was turned into moats and ponds that collected water from nearby canals and streams. From there, a water supply network, "unrivalled both in the Low Countries and abroad," carried the water through underground pipes across Ypres. This network grew over the Middle Ages, and a map of Ypres from 1847 shows that it consisted of "twenty-three kilometres of pipes that supplied eight-hundred and ninety-one cisterns or water reservoirs, public as well as private ones." Several examples of medieval pipes have been discovered, which show that they were made of either lead or wood, and could be as large as eleven and a half centimeters in diameter. Furthermore, town accounts dating back to 1280 show that the town appointed four pipemasters ("pipemaistres") to oversee the water supply system, and who issued fines for improper use of water or for polluting it. A regulation from 1296, for example, stipulated that no cloth was to be bleached within two meters of a well. The waste from used water was then transported through partially open sources out of the city to the Ieperlee downriver from Ypres. Trio concludes that "a complex and ingenious network of reservoirs and pipes was created very early on, probably during the course of the twelfth century. Not only did such a system weigh heavily on the urban budget, its mainetnance and - whenever necessary - its improvement or adaptation required a strong organization and rigorous control. That the water supply system of Ypres was an efficient one becomes clear from the fact that no major changes were implemented during the entire Ancien Regime." The article can be found in The Nature and Function of Water, Baths, Bathing and Hygiene from Antiquity through the Renaissance , edited by Cynthia Kosso and Anne Scott. This book contains twenty-five articles which deal with a range of topics from Ancient Greece to the era of Shakespeare. Previously unseen artefacts recovered from Henry VIII’s flagship have been revealed by the Mary Rose Trust to launch its first ever public appeal to help fund an ambitious new £35 million museum project. 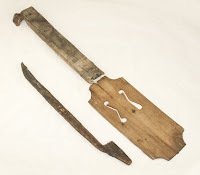 The extraordinary Tudor items – which include a fiddle complete with its bow (Europe’s oldest example); a beautifully preserved leather ‘manbag’, the height of Tudor fashion; and the giant wooden spoon used to stir the crew’s porridge pot – have been hidden away in the Mary Rose’s reserve collection due to a lack of display space. They have been brought out of storage to highlight the need to hit the Trust’s funding target for the new museum project and through it to secure the future of the Mary Rose. The Mary Rose was an English Tudor carrack warship built in Portsmouth in 1509-1510. After serving for over thirty years, she sank in the Solent during an engagement with the French fleet on 19 July 1545. The ship was rediscovered in the 1970s and the surviving section of the ship was raised in 1982. The wreck is considered a major archaeological source for English maritime and military history. To mark the 500th anniversary year of King Henry VIII’s accession to the throne and of his commissioning of the Mary Rose, the Mary Rose Trust, the charity preserving the ship, is launching the Mary Rose 500 public appeal (www.maryrose500.org) The appeal is seeking 500 individuals, schools, businesses and organisations to come on board and symbolically become the ‘new crew’ of the Tudor warship. Each new crew member will pledge to raise £500 towards the appeal’s £250,000 target, which will contribute to the final £1 million public appeal total to help fund the new purpose-designed and built Mary Rose Museum. The new museum, scheduled to open in time for the London Olympics in 2012, will complete the preservation of the wreck of the Mary Rose and reunite the great ship with thousands of hidden treasures that have never before been displayed in Portsmouth Historic Dockyard, the Mary Rose’s home. Rear Admiral John Lippiett, Chief Executive of the Mary Rose Trust, said: “The importance of these Tudor artefacts, many of which we have never had the space to put on public display, cannot be underestimated. Nowhere else in the world is a single moment in Tudor life captured as it is with the Mary Rose. The new building housing the Mary Rose’s fully preserved hull and her artefacts will be a finely crafted, wooden ‘jewellery box’, clad in timber planks. 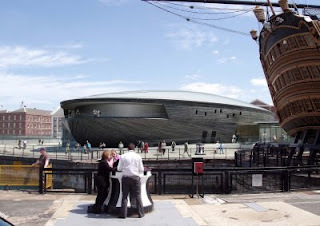 It will replace the current temporary museum located 300 metres away, which has space to display only one twentieth of the 19,000 fascinating artefacts recovered with the Mary Rose. An extremely important £21 million Heritage Lottery Fund award was confirmed earlier this year, with the Mary Rose Trust charged with raising an additional £14 million to complete the project. Approaching £10 million has been raised so far towards the £35 million goal. Rear Admiral Lippiett continued: “The temporary structure currently around the Mary Rose has been renovated twice, but cannot be repaired anymore, while her wonderful artefacts are located in a separate building, out of their true context. It is time for the Mary Rose to have a properly designed, purpose built home that brings together the ship and her fascinating relics. Although the ship hall is temporarily closed, during the construction of the new museum, the existing Mary Rose Museum, located separately, remains open throughout the construction period to offer an amazing visitor experience including new exhibits and more than 1,000 of the finest preserved artefacts recovered from the site. A new book about early Islamic society suggests that their was a slight alteration to the Quran in order to resolve a theological dispute between Muslims in the first century of the religion. 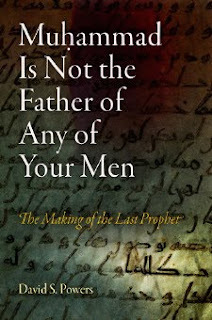 Muhammad Is Not the Father of Any of Your Men: The Making of the Last Prophet , by Professor David S. Powers of Cornell University deals with an issue that emerged in Islam after the death of Muhammad - was he actually the last prophet. In an interview with Rorotoko magazine, Professor Powers says. "I attempt to shed light on the emergence of this key theological doctrine and to show how the Islamic foundation narrative was constructed in order to assure its integrity. Specifically, I focus on the intersection between the theological assertion, on the one hand, and the collective memory of the early Muslim community, key legal institutions, and the text of the Qur’an, on the other." His research revolves around the word kalala, which in Arabic means a kind of family relative. This phrase is used in the Quran in a section on inheritance. When Professor Powers examined an early manuscript of the Quran with infra-red and ultra-violet light, he discovered that this word was originally kalla, which means daughter-in-law. Professor Powers notes how important this research might be: "it is a fundamental tenet of Islam that the Qur’an always has been, and must remain, immune from textual distortion. From this tenet it follows that the text of the Qur’an, as it has come down to us in the 21st century, is identical in all respects to the revelations received by Muhammad over a period of twenty-three years between 610 and 632 CE. The notion that the early Muslim community might have revised the text of the Qur’an is unthinkable, not only for Muslims but also for most Islamicists—including, until recently, myself. This unthinkable notion is one of the central concerns of my book." From there, Powers pieces together a theory that the word was changed by the early Muslim community to help sort out the issue of whether or not Muhammad was the last prophet, and if he was, could he also be a father. The story also involves his adopted son Zayd, who has usually been considered a marginal figure in Islamic history. Powers, on the other hand, believes that 'apart from Muhammad himself, Zayd was the most important figure in the early Muslim community." 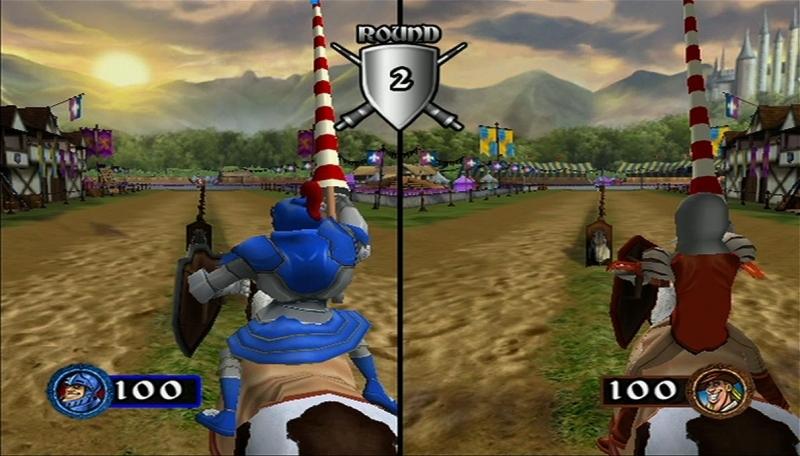 Vir2L Studios has announced that their new video game, Medieval Games will be available across North America on October 20, 2009. This will be available for the , for the Wii game system from Nintendo. In a press release from Vir2L Studios describes the game as your chance to "Relive the days of olde in this fun collection of 30 medieval-inspired mini games and tournament championships set in a charming storybook world. Featuring easy pick up and play action, light hearted humor and support for up to four players, Medieval Games is sure to be a family favorite." Players can try their hand at various games, including jousting and catapulting, or play along in a story that involves dragons and knights. Medieval Games was recently named an Honors winner in the prestigious 2009 National Parenting Publications Awards (NAPPA) competition. NAPPA’s panel of independent experts determined Medieval Games to be thematically innovative among Wii games, a great choice for tweens and teens, and an unquestionable favorite among NAPPA’s trained children testers. Medieval Games has been rated E10+ by the ESRB. Medieval Games was developed by N-Fusion Interactive and is being published by Vir2L Studios. A conference held last month has provided scholars with new insights into Dover Castle, one of England's most impressive medieval fortifications. Great Tower: The building and Evolution of Henry II's Keep at Dover Castle was organized by English Heritage and the Castle Studies Group. The first two days of the conference was held at the Society of Antiquaries in London, followed by a visit to the site itself. About 100 people attended the conference, which included papers on a wide range of topics associated with the castle and its development. One of the main papers was given by the historian John Gillingham who contends that Henry II undertook major rebuilding of the castle to be a showpiece palace in order to impress visitors who were coming to see the shrine of the murdered Archbishop of Canterbury, Thomas Becket (see our earlier article on this topic for more information). Victoria Dennis, one of the delegates who attended the conference, reported to Medievalists.net that "other historical papers filled in the picture on Henry’s crossings of the channel, his other square keeps, and his architectural patronage in general. All the papers contained material of interest. I admit I should have realised - but hadn’t - just how unimportant Dover was to a King whose other domains were in Normandy, until the Becket pilgrimage and the diplomatic activity in and relating to Flanders in his latter years." The second day of the conference focused on the efforts by English Heritage to restore the castle and make it look like as it was in the 12th century. Victoria Dennis notes that "although there is a fine introductory exhibition in the inner bailey on Henry and his new great tower it includes very little on how the redisplay was done, the principles on which it was done and the evidence for the furnishings chosen." The trip to Dover Castle itself allowed the delegates to tour the castle with representatives of English Heritage who worked on its restoration. Victoria Dennis explains that English Heritage "had to work in a building with major more recent features, such as 15th century windows and fireplaces and 18th century brick vaulted ceilings, which could neither be removed nor permanently concealed. Nor could the walls be plastered, boarded up or directly painted. "This meant, among other things, that instead of a painted decorative scheme on the walls they were obliged to produce a similar effect using textile hangings - which at one point meant creating a hanging pretending to be a trompe l’oeil painting of a hanging! The 15th century wall fireplaces aren’t hidden; they have fires (real ones) lit in them, although in the 12th century the rooms would have had braziers or central fireplaces. Here is where I feel a little more explanation to the public would be desirable." Another member of the audience pointed out that much of the material used as a basis for research was from Scandinavia and very little Mediterranean influence is shown, perhaps less than one might expect of a King who had married his daughter to the King of Sicily. Also, officials from English Heritage pointed out that no single artefact was exactly copied from a surviving original; all were tweaked to be slightly different, in case visitors were deceived into thinking that the original was owned by Henry II and would have been at Dover in the 1180s. Victoria Dennis concludes that "the attention to detail in the furnishing – the miniver bedspreads, Limoges enamel candlesticks, the turned, carved, painted and gold leafed chairs - is admirable, and the lavishness, colourfulness and impressiveness of the general effect is stunning. Certainly nobody who visits the Great Tower will ever again envisage 12th-century royalty hunkering down in monochrome stone-walled rooms with only a bearskin or two for luxury, and that’s certainly a major contribution to popular understanding of the period." Dover is well known as a castle of true international significance. The impressive walls, gates, towers, and internal buildings were almost entirely rebuilt from 1179, largely by King Henry II (1154–89), though completed during the reigns of John (1199–1216) and Henry III (1216–72) in the early 13th century. Henry II’s great tower is the last and one of the most elaborate tower keeps built in the Anglo-Norman tradition, featuring a complex forebuilding, generous accommodation, two chapels, and a sophisticated dual water supply. We thank Victoria Dennis for providing us with the details of the conference. Victoria writes the blog Oltra Mar.